Inspired by the race track and designed with performance in mind, the Performance look carbon fibre spoiler has a more sporty presence yet elegant in design. 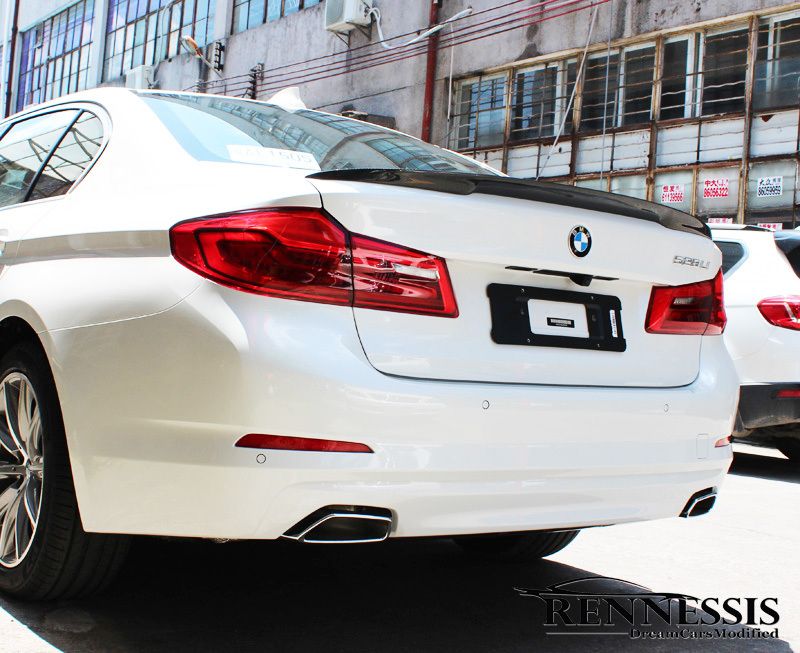 The spoiler flows perfectly with the sleek lines of the 5 series saloon and gives the car a much more sporty rear end appearance. Usually shipped in 1-2 working days. If not in stock please allow around 14 days for delivery.